The Japanese Aerospace Exploration Agency (JAXA) is engaged in the active promotion of the introduction of robotics technology, aiming to make LEO an area of sustained human economic activity. As part of those efforts, aiming to dedicate astronauts to higher-level work and optimize results, the agency is considering using Kibo, the Japanese Experiment Module for the International Space Station (ISS) as a technological demonstration platform. GITAI's Model 6 robot completing the Task #2 experiment in a simulation for possible ISS work. 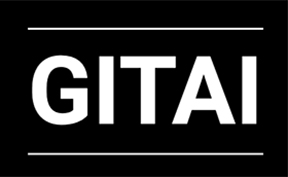 Aiming to reduce the cost of space work by 10 percent, GITAI aims to produce a robot capable of carrying out work within a space station in place of an astronaut. With the latest GITAI robot (model 6), GITAI have succeeded in creating a robot which, given the presence of a limited networking environment within the space station, is capable of, as a single robot, accomplishing general tasks (switch operation, using tools, flexible object manipulation, heavy load work) which have been difficult with prior robots. 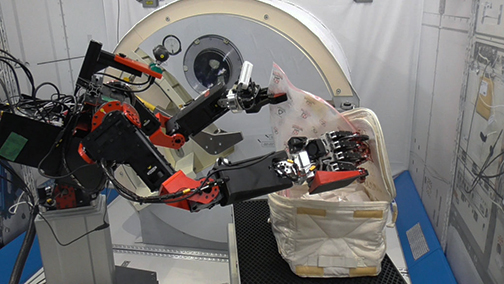 From December 25to 27, 2018, in JAXA’s mock-up of Kibo, the International Space Station’s Japanese Experiment Module, GITAI conducted an experiment into using the GITAI robot as a substitute for an astronaut, based on a list of astronaut tasks provided by JAXA. The GITAI robot was found to succeed in completing 72 percent (13/18) of the tasks. Along with the intensification of competition in space development in the world during recent years, the demand for work in space is rapidly increasing. In particular, for the LEO space stations, represented by ISS, demand for work is rapidly increasing with matters such as the consideration of the commercialization of ISS as well as the ongoing construction of several commercial space stations, such as space hotels and space stations for scientific experiments, carried out mainly by private companies in the U.S.